මගේ phone එකේ pattern lock එක යාලුවෙක් කිපසැරයක් ඇන්දට (Too Many Pattern Attempts)පස්සේ email එකයි.password එකයි ගහන්න ආවා.ඒත් ඒවා ගැහුවට unlock උනේ නෑ.මට මතක විදිහටනම් මම ගහපු password හරි. (ඒකත් ගහන්න පුළුවන් වාර ගානක් තියනවද දන්නේ නෑ.) ඒක ගැන හොයද්දි තමා මට මේ ක්‍රම හම්බුනේ. මේකෙදි කරන්නේ sd card එක හරහා softwear එක update කරනවා.එතකොට ඒකේදී අපි දාපු pattern lock එක තිබ්බ file එක delete කරනවා.එතකොට කෙලින්ම ඇතුළු වෙන්න පුළුවන්.මුලින්ම මේ file එක download කරගෙන zip file එකක් විදිහටම sd card එකට දා ගන්න. ඊට පස්සේ phone එක off කරලා power button+volume up+ home button තුනම ටිකක් වෙලා press කරන් on කරන්න.එතකොට පල්ලෙහා රූපේ වගේ android recovery mode එකට ඇතුළු වෙනවා.ඊට පස්සේ menu button එක press කරන්න.එතකොට menu එකක් එයි.මේකෙදි touch එක වැඩ නැති නිසා volume button වලින් තමා උඩට පල්ලෙහට යන්න වෙන්නේ.select කරන්න වෙන්නේ home button එකෙන්. දැන් එකෙන් apply update from sd card කියන එකට ගිහින් අර දාපු zip file එක තෝරලා දෙන්න.එතකොට වැඩේ හරි.ඊට පස්සේ phone එක reboot කරන්න.එතකොට pattern lock එක ඉවත් වෙලා තියෙයි. මේකට ඔයාලගේ phone එකේ internet on වෙලා තියෙන්න ඕනේ.එහෙම නැත්තන් බෑ.මේකටනම් app එක ගන්න සල්ලි ගෙවන්නත් ඕනේ. ඔයාලගේ phone එකේ දාලා තියන google account එකට pc එකෙන් sign in වෙලා ඉවර වෙලා මෙන්න මේ app එක install කරන්න.එතකොට ඒක නිකන්ම phone එකට download වෙලා install වෙනවා.ඊට පස්සේ එකේ තියන විදිහට කරාම වැඩේ හරි. මෙකට ඔයාලගේ phone එකේ usb debugging කියන ඒක on කරලා තියෙන්න ඕනේ.එහෙම නැත්තන් මේක කරන බෑ. මෙන්න මේ file එක download කරගෙන extract කරගන්න. ඊට පස්සේ මෙන්න මේක පාවිච්චි කරලා ඔයාලගේ phone එකට drivers install කරගන්න (usb cabel එක හරහා).ඊට පස්සේ අර extract කරගත්ත folder එකට ගිහින් Double_Click_me.bat කියන එකට ගිහින් 1 ගහලා enter කරන්න.එතකොටත් වැඩේ හරි. මම අනිත් ක්‍රම අත්හදා බැලුවේ නෑ.ඒ නිසා ඒවගේ සාර්ථකත්වය ගැන කියන්න දන්නේ නෑ.මේකනම් හරියනවා කියලා sure. මගේ එකේ recovery mode එකේදී sd card එක පෙන්නුවේ නෑ.ඒ නිසා මට පලවෙනි ක්‍රමේ හරි ගියේ නෑ.මගේ phone එකේ internet on කරලා තිබ්බේ නැති නිසා හා usb debugging එක on කරලා තිබ්බේ නැති නිසා දෙවෙනි තුන්වෙනි ක්‍රමත් අත්හදා බලන්න බැරි උනා. මේකෙදි වෙන්නේ phone එක reset වෙන එක.මේකෙදි photos ටිකත් delete වෙයි කියලා හිතුවත් මගේ photos delete උනේ නෑ.එත් දාපු apps ඔක්කොම delete උනා. කරන්න තියෙන්නේ මේකයි.පලවෙනි ක්‍රමේදී වගේ ගිහින් recovery mode එකට යන්න.ඊට පස්සේ "wipe data/ factory reset" කියන එකට යන්න.ඊට පස්සේ yes කියලා දෙන්න. මේවා අත්හදා බැලීමේදී සිදුවන දෝෂ වලටනම් වග කියනු නොලැබේ. අනිත් ක්‍රම හරි ගියොත් අනිත් අයටත් දැනගන්නත් එක්ක comment එකක් දාගෙනම යන්න. 4th එක අලුත් ෆෝන් වලට හරියන්නෙ නෑ බ්‍රෝ. ෆෝන් එකේ තිබුන email address එක ඉල්ලනව. 4weni ekata kiyanne "hard reset" liyala. ekedi use karana keys eka eka phone eken phone ekata wenas wenaw bn. eka hinda phone eke jathiya ghla buttons search karala blanna (oya keys samsung phone wlata godak durata hari). anith krama walata ynawata wada puluwannam 4 weni kramen (Hard Reset) eken 4n eka goda gnanna blanna. 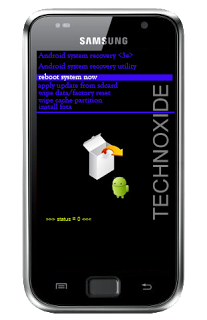 anith ewagen 4n eke kernel(software) ekata damage wenna puluwan.